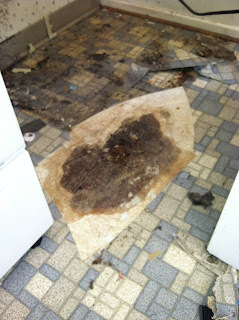 Apparently, this was an ongoing problem, that was neglected. 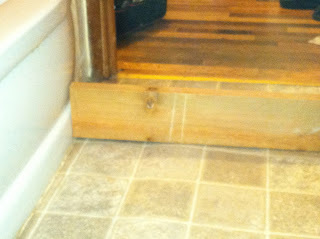 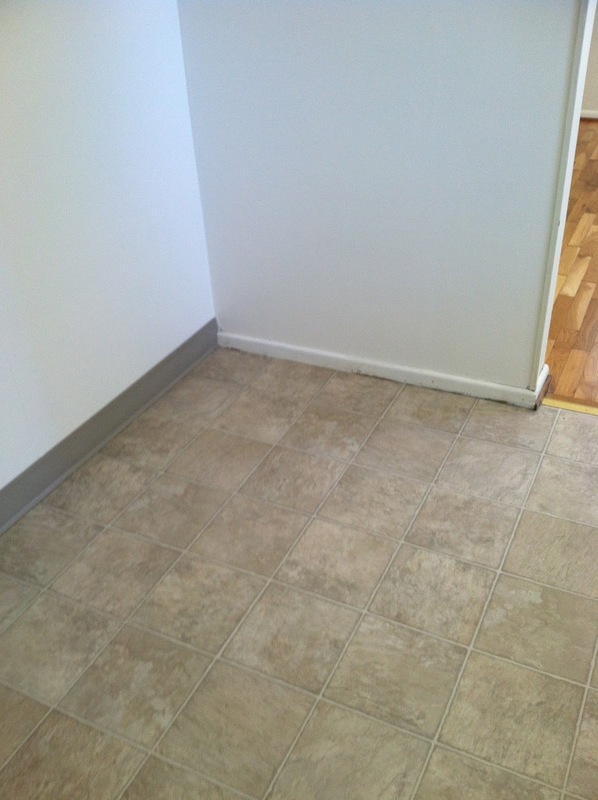 So, we put a piece of wood down to show you.....Wow, that's one wavy floor! and started demo on the floor. We had to go really deep on this one. It's amazing how damaging water can be. 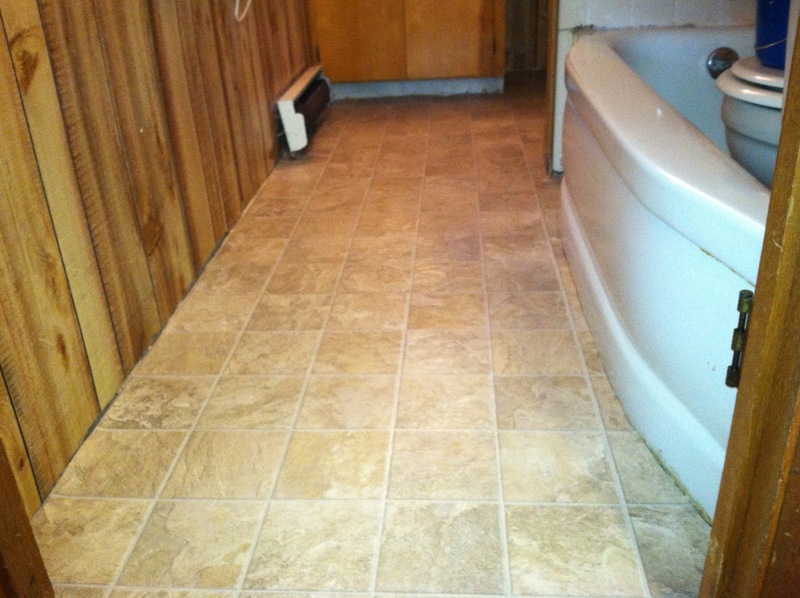 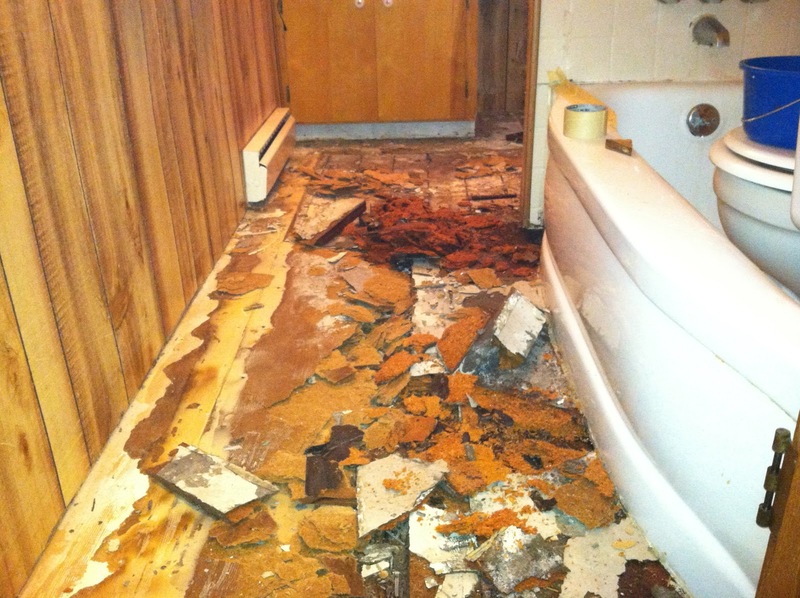 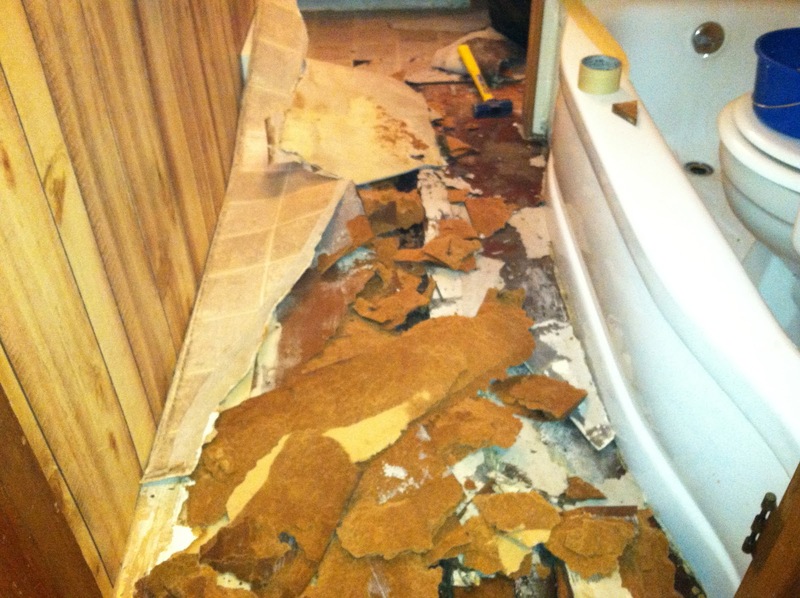 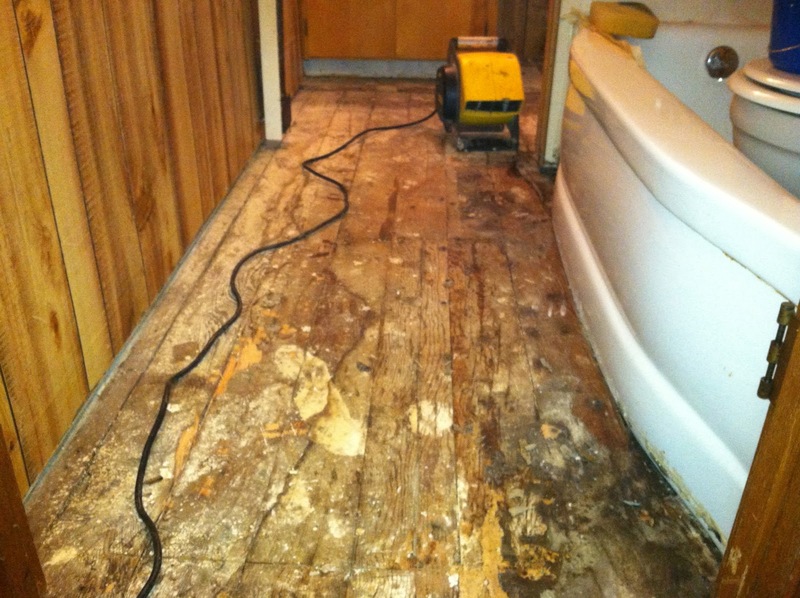 Consider It Done Construction has a great deal of experience repairing dry rot. 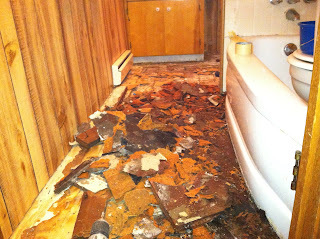 Our observation is: the longer it is left un-repaired, the deeper the damage. 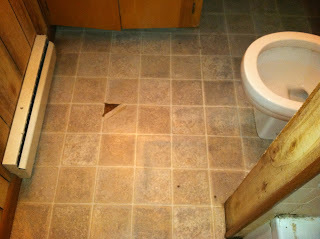 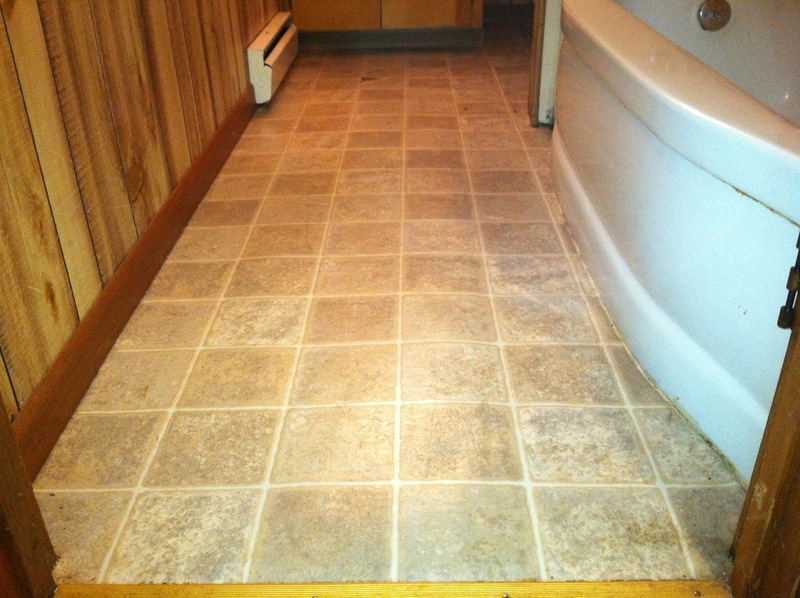 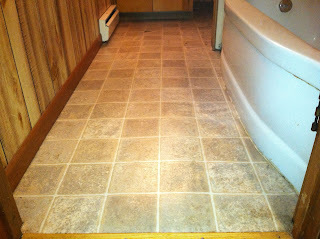 We found the floor had damage under the fridge. 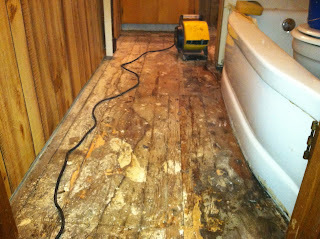 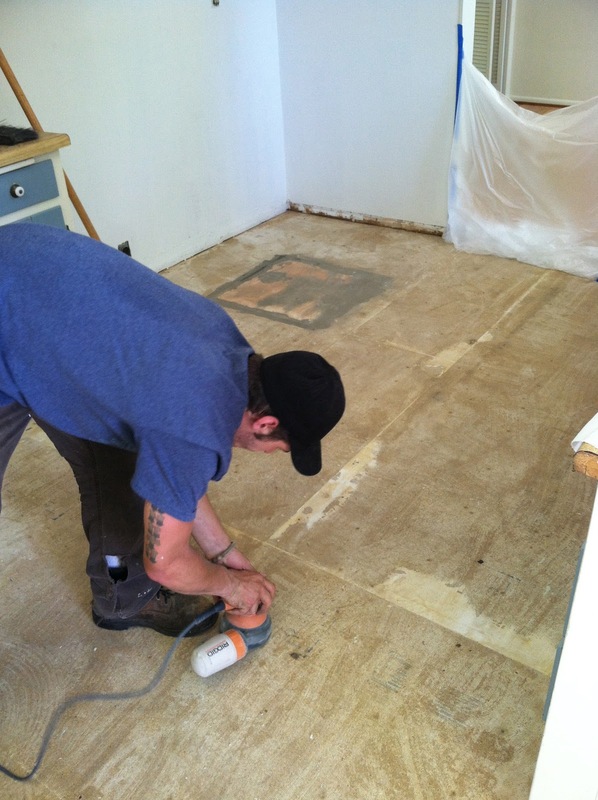 First we cut away the damaged wood, and repaired the area. 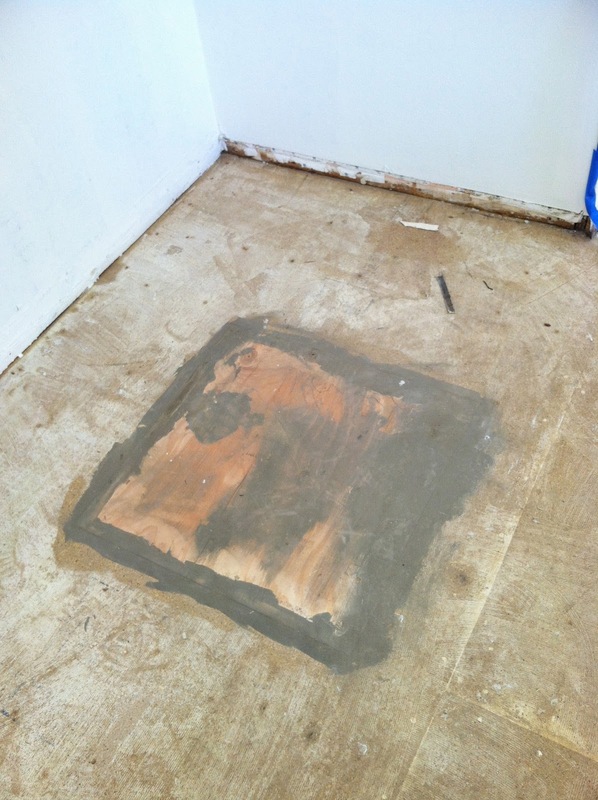 This is the repair; ready for vinyl. 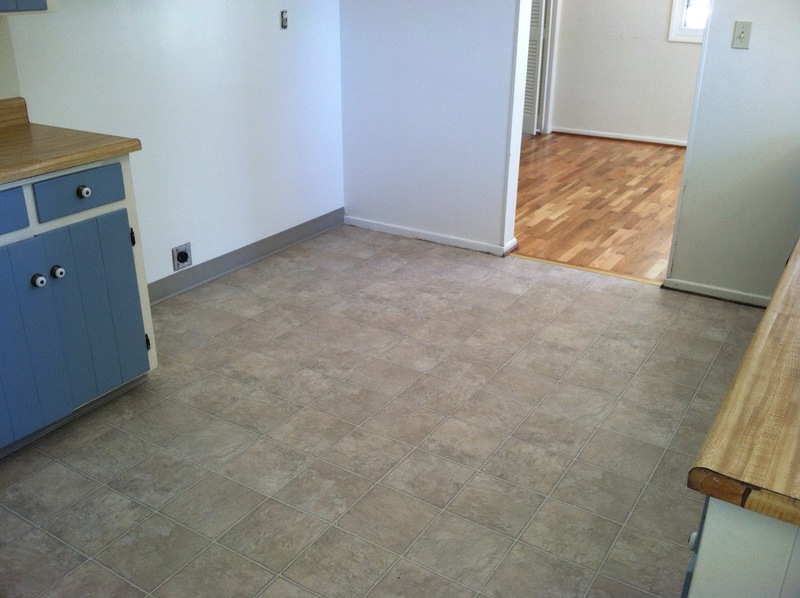 But, of course the rest of the room needed to be prepped, too! Nice new vinyl where the fridge and stove belong. 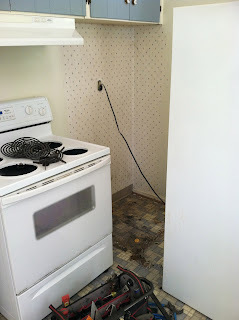 Here's the corner of the kitchen just before we put the appliances back. 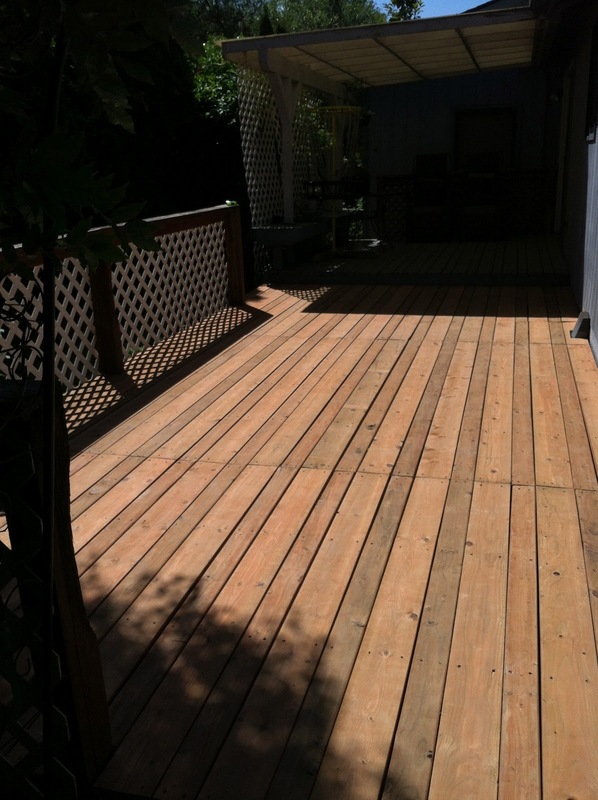 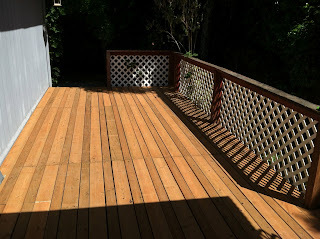 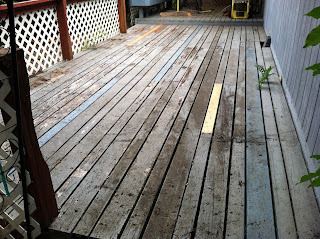 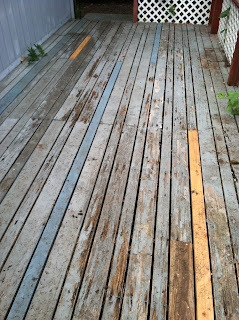 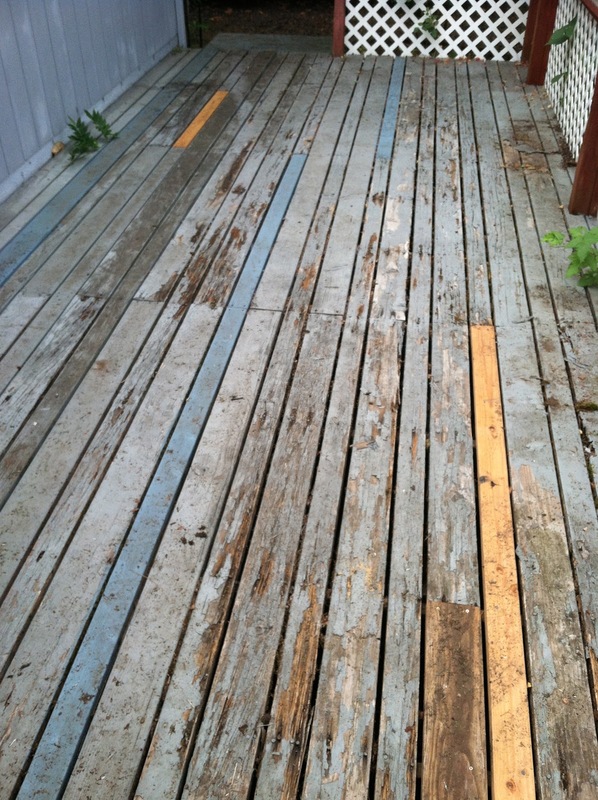 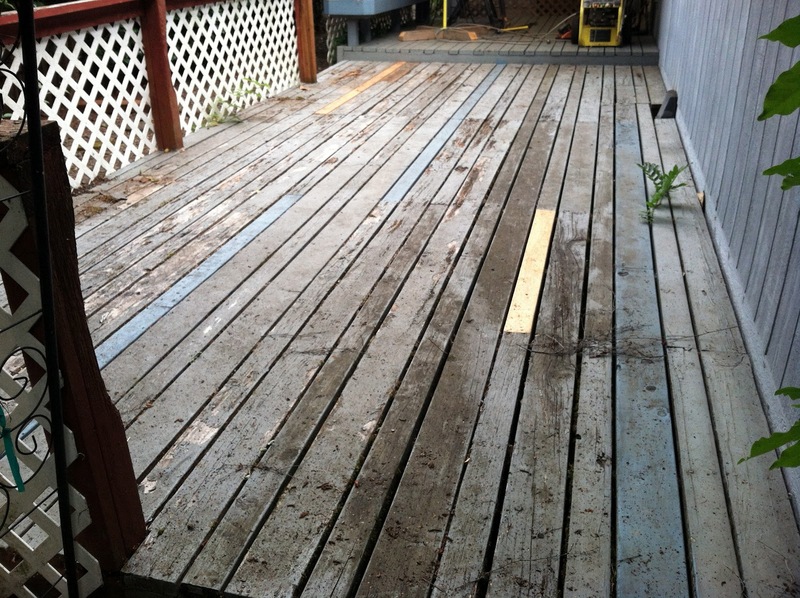 The owner of this deck wanted us to match the pattern of the deck when we replaced it. prior to our roofing contractors taking over to replace the roof on this home. 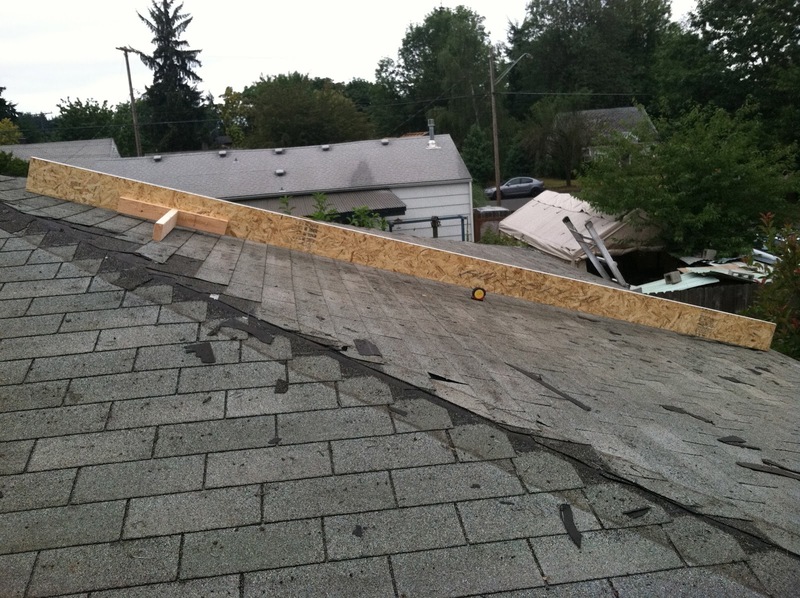 Believe it or not, that's a straight board, across the sagging roof. 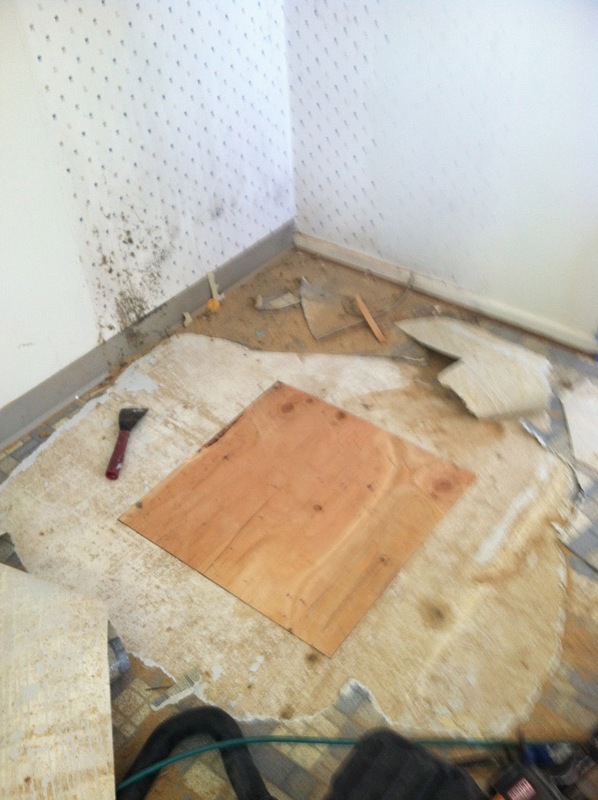 I put my tape measure under the board for scale. This is the roof after we finished. 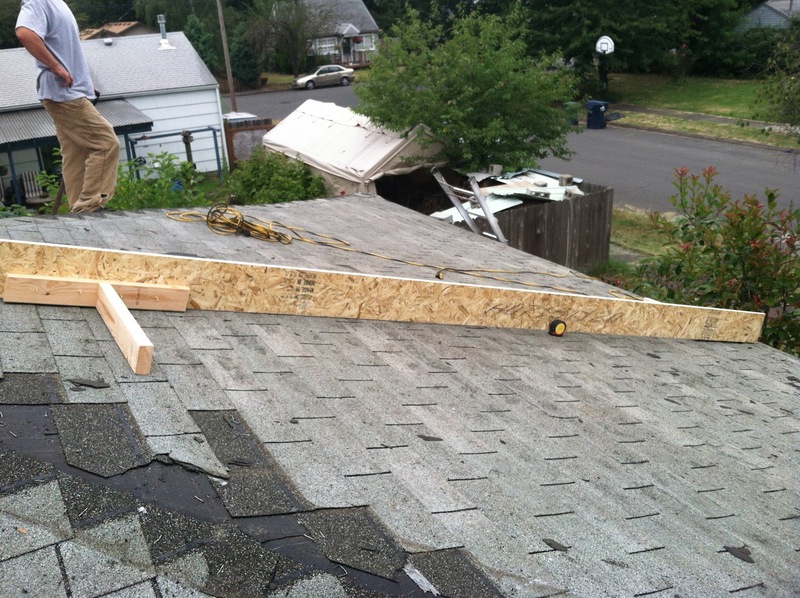 As you can see, the roofer is impatiently waiting for me to take this picture and get out of his way!